Tik tok on the clock, dear readers. The ballots are in and the 83rd Academy Awards are only 3 days away! Every day this week, I'm breaking down the major categories and revealing my picks for the win. On Saturday, I'll post my full list of predictions for all 24 awards and on Sunday we will all watch and see how it plays out. 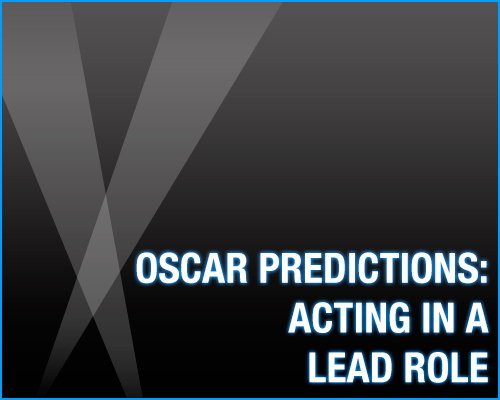 If you haven't already, enter my Oscar prediction contest for the chance to win a DVD of a 2011 Oscar-winning movie. What an incredible lineup of talent. 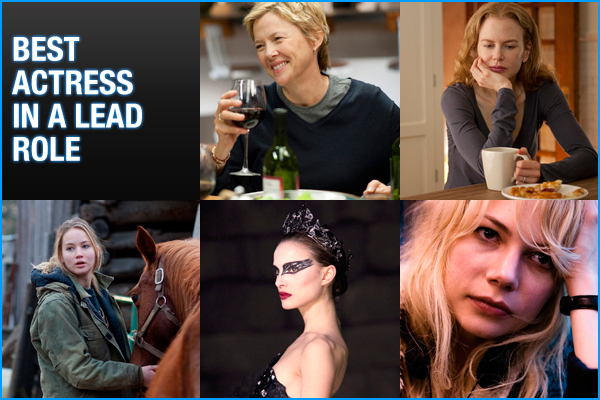 From newcomer Jennifer Lawrence to Oscar veteran Annette Bening, each of these fine women gave remarkable performances. Lawrence was hands down the best part of Winter's Bone (this is probably the only nomination I would've given the film) and Nicole Kidman delivered her most gut-wrenching performance in recent memory in Rabbit Hole. Michelle Williams' quiet destruction in Blue Valentine is the best I've seen her, and I only wish her co-star could've been amongst those nominated (more on that later). I can say the same for Bening—her role as the red wine-obsessed, controlling and, ultimately, heart-broken Nic was incredibly moving, and her co-star Julianne Moore belongs in this group as much as she does. And then there's Natalie Portman, who delivered the most chilling, sad, stunning and, yes, perfect performance of the year. Pointe shoes and a psychotic meltdown? The Oscar goes to Portman for sure. This is the year for Colin Firth. Though he had the better performance last year in A Single Man, Jeff Bridges unsurprisingly came out on top. I don't see the same happening this year. Firth has basically swept the awards, and rightfully so—his portrayal of King George VI in The King's Speech was inspired and beautiful. 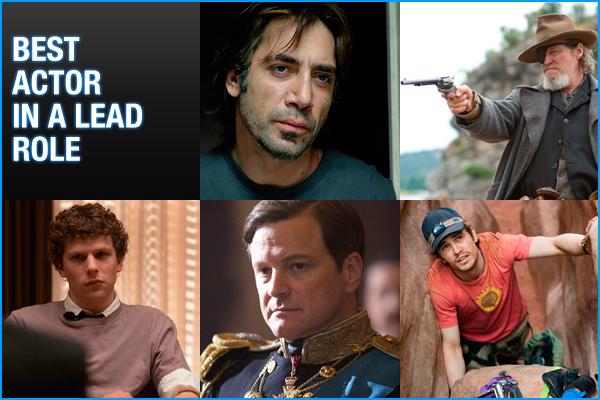 Of course, that shouldn't take away from the other nominees, all of whom delivered great performances. I would've put Ryan Gosling in this group in a heartbeat for his masterful work in Blue Valentine. To be fair, I didn't see Biutiful, but for me Gosling would've gotten Bardem's spot. Do you think Firth and Portman are locks, or will there be some surprises come Sunday night? And who do you wish was nominated? Sound off in the comments!